Electronics are getting smarter and smarter every day. Shouldn’t your home be smarter too? 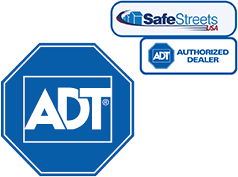 Home security systems offer more than ever before. From doorbell cameras to remotely opening your door for guests and controlling your home’s thermostat, home automation has definitely taken us out of the dark ages of home security. Even if you have a home security system, if you aren’t using the August Smart Lock system, you’re really missing out. Most doorbell systems allow you to lock and unlock your doors for guests when you aren’t home. That’s a pretty convenient feature until you’re bothered multiple times a day by people looking to move in and out of your home. Instead of personally allowing each and every person into your home, you can create virtual keys for guests. From a family member who’s staying with you while they’re in town to a maid that only comes for a few hours each week, you can program a special key just for them. You might be wondering why you don’t just create physical keys? Well, the August Smart Lock system is smarter than that. Grant access for weeks, days, hours, and even just a few minutes, all without the need to deal with returned keys or changing locks. Making sure your door is locked behind you is so important to the safety of your property, and yet it’s so easy to forget, especially when you get busy. Many home automation systems allow you to check and see if the doors have been locked, but that requires you to remember to check, and if you already forgot to lock the door, you probably won’t remember to check and see if you locked it. The August Smart Lock system deals with this issue differently. Instead of checking in and locking your door from afar, it will automatically lock every single time you leave the house. Just stepping outside for a minute and forgot your key inside? No problem! This system also unlocks the doors automatically as you approach. You’ll never have to worry about carrying around your keys again! Wondering if your kids are home from school yet? Or maybe you want to make sure that the maid was on time? Instead of tuning into a live video camera feed and waiting for someone to wander by, the Smart Lock system allows you to keep track of everyone who goes in and out of your home. The best part is, you can track exactly when those people come and go, down to the minute. If your child was supposed to come home right after school, or if the maid was supposed to spend two hours cleaning your home, you’ll know right away if they kept their promise. Keeping track of all the things going on in your home can be a real challenge, and many companies know this, which is why they might require you to pay a small fee in order to enjoy the convenience of controlling your home from your smartphone. Whether you just install Smart Lock, or you want to pair another August product with your system, the August app is absolutely free. This app can create digital keys, grant access, and it allows you to view the activity log for your home. It even works on Android and Apple products, including the Apple watch. Want to tie your August Smart Lock system in with your other home automation features? It is also compatible with Apple’s HomeKit, which means you can control your Smart Locks with the sound of your voice with the help of Siri! Shouldn’t your home work hard to make life more convenient for you? With the August Smart Lock system, you’ll have the smartest house on the block!